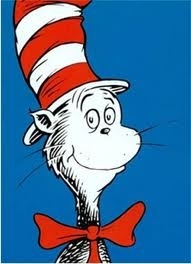 Click here to check out all your favourite Dr Seuss characters at suessville.com A fantastic website with lots of fun things to do and watch. Conspiracy 365 by Gabrielle Lord the "official" website, has book reviews, meet the author, book updates, and all the latest news! Click here! Graeme Base is the author of Animalia, Uno's Garden, The Waterhole, Jungle Drums and many more titles! Click here to check out his website. Lots of things to do, games to play and quizzes to answer. The Zac Power Portal is cool, check out Zac's book shelf and the Gadget garage. 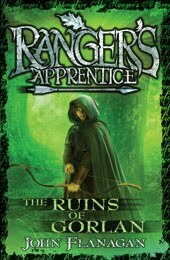 The official Ranger's Apprentice website! Check out your favourite characters plus games and quizzes. What are the 39 Clues and can you be the first to find out?? Use your 39 clues cards at this website. Also play games, find at more about the author and when the next book will be out! author of the following books: Girlz Rock!, Boyz Rule!, Too Cool and many more fantastic book, has a great website with lots to enjoy and a book club. Click Here! Narelle Oliver is the author of Fox and Fine feathers, Leaf Tail and High above the Sea. The illustrations in her books are wonderful.This is her website where you can look at her books and she has a good article on "How to write a children's book" for those who enjoy to write. Click here! 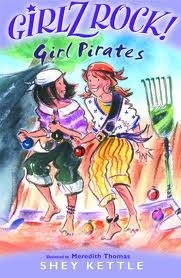 Deborah Niland, an author, artist and Illustrator, her published works include Hooray! 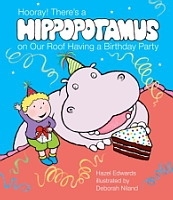 There's a Hippopotamus on Our Roof Having a Birthday Party, Deborah did the illustrations for this book. She also wrote the book Double Trouble about twin toddlers! Check out her website where you will find lots of books, some games and follow her blog. Click here! Has a great website with stories from the magazine plus fun games, book reviews and competitions. Find out the latest Extreme news and the latest Extreme books plus games. Hop on the bus for a fun journey around Australia, learn about places and animals. Click here!! Come check out Micheal's cave, there is so much to do on this web site, like word searches, mazes, jigsaws and fly squatting!! Click here! !